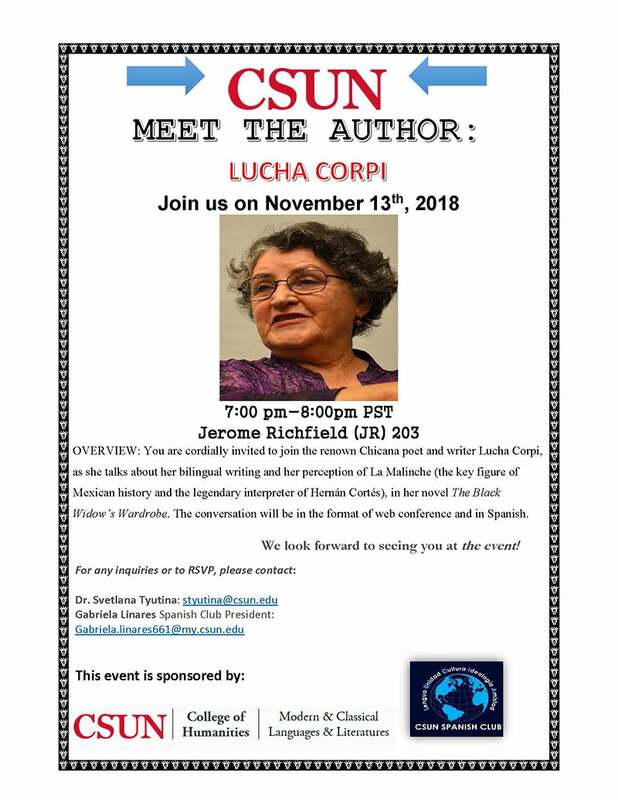 Join the renown Chicana poet and writer Lucha Corpi, as she talks about her bilingual writing and her perception of La Malinche (the key figure of Mexican history and the legendary interpreter of Hernán Cortés), in her novel The Black Widow’s Wardrobe. The conversation will be in the format of web conference and in Spanish. This event is sponsored by the CSUN College of Humanities Department of Modern and Classical Languages and Literatures and the CSUN Spanish Club.